Alibi Jones was a Mediator for the Solar Alliance Interplanetary Force in the 2130’s – but that’s all about to change! Foster son of the former leader of the Solar Alliance, the new S.A. administration makes an example of him after news gets out Alibi is partly responsible for the destruction of pleasure planet Kismet. Bounced out of his career in the Mediation Corps, Alibi’s reassigned to Covert Ops. 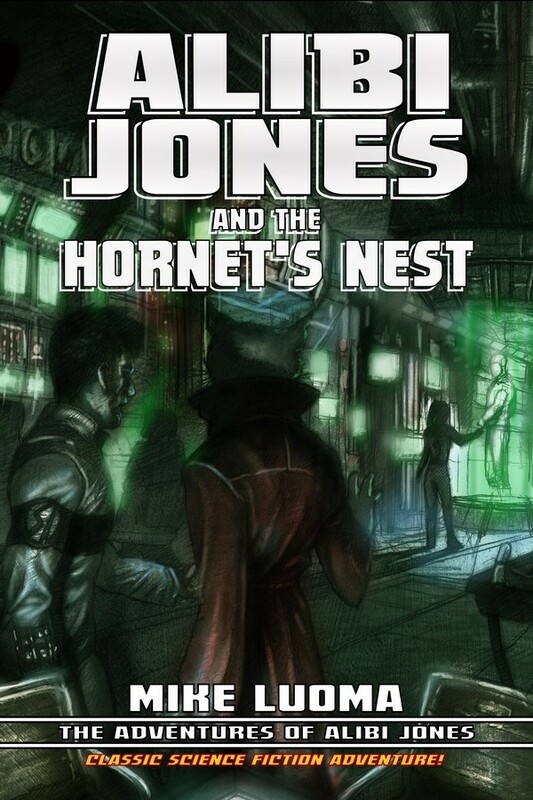 His cover: running cargo out past the colony world Depot, on the Fringe, from a new remote base – The Hornet’s Nest! Alibi Jones gets to know his new crew as they get a handle on running small cargoes and cover operations. Gluttonous planetary crime lords, alien parasites and symbiotes, psychics and scientists, galactic Godfathers, friendly free traders, astral travel – and a Business Manager Alibi married and grew old with in another life (long story) who also has something to do with that ghost (longer still) – lots going on out beyond the borders of the Solar Alliance. Whey get assigned to check out the so-called “ghost ship”, people start dying. Again. 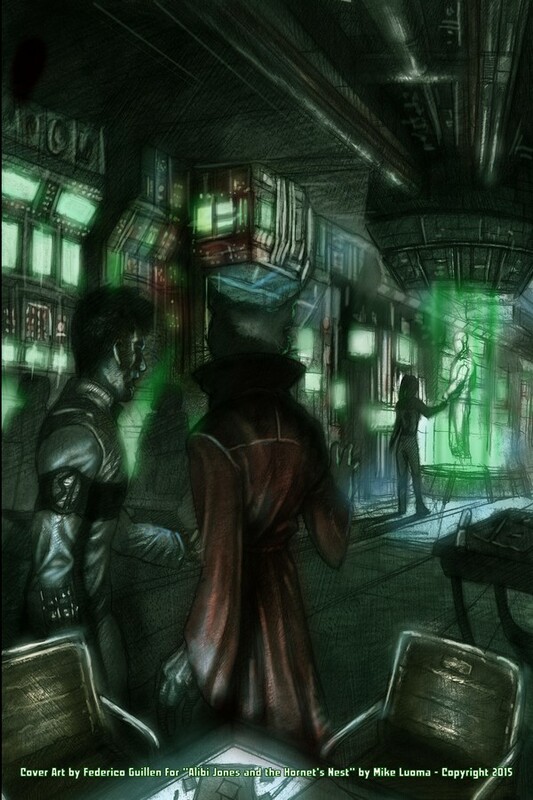 The artwork is by Federico Guillen, an artist from Argentinia, who’s worked on this book’s predecessors. The book is due out May 23rd, and it will be released in podcast form on a weekly basis.